The ten short stories in this Collection have been chosen both for their interest and for their proximity to the teenagers’ world. They deal with a large range of ethical topics and moral experiences Ahmed at promoting racional and critical thinking in their readers. 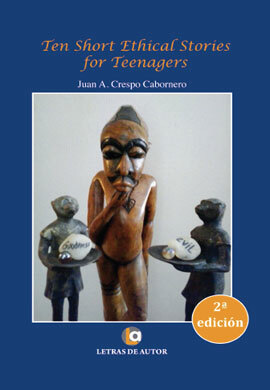 This volumen is intended primarily to be used as a resource for Enghish as a Secund Language students. Is a Doctor of Philosophy. He has worked as a teacher for 26 years. Some of his other Publications incluye En Busca de las semillas del bien, ¿Los perjudicados son los culpables?, La calma que precede al amanecer, Democratización y reforma social en Adolfo A. Buylla, y Grupos de debates para personas mayores.